As an entrepreneur I love stories and I particularly enjoy identifying different types of stories. From ones we tell ourselves to keep us in our comfort zones, to ones that we can go back to and remember how strong and resilient we really are. Jack Brown (not his real name) told me about his business and how he was part owner in a real estate agency that goes back three generations. His business specialised in selling houses more than any other real estate function. He told me that he could afford to come to this event because his two sons, also real estate agents, have taken over most parts of the business. I responded by telling him how much my father would have loved for me to have taken over the family business. But before I went to far through my story, I decided that I should learn more about him. So I asked him, “Jack, how is business“? This wouldn’t be the first time I asked him the same question. Jack told me how his grandfather started this real estate business in the early 1900s, and how it was passed down from generation to generation. He also spoke about values. In fact, he spoke about values a lot. He told me that the business was built on trust and how at the time they were one of three agents to choose from. He told me that he would go out of their way to make sure his clients were happy. At this point I interrupted him and asked “How did you do that Jack? How did you make sure they were happy?” – Since starting my podcast, I realised that I’ve become a nosy little prick. I had a sense from Jack’s tone that something changed since then. So I asked, “You’ve been around the block for so many years now Jack, with so much experience in the field. What has changed? Today, how is business”? Just then, the waiter put the entrees in front of us. We had been talking for about half an hour and we had just started our entrees. I didn’t probe further for a couple of reasons. I was hungry and I knew that the last question I had asked was a bit touchy. Considering that I had asked him the very same question when we first started our chat. I thought that if he didn’t answer, I would let it go. That was tough for Jack to admit. I could see how uncomfortable it made him. So, I tried to lighten the moment by commenting about how at least they were still not as bad as car salesmen. While I finished the last of my entree, I was thinking to myself that his real estate business was facing 3 main problems. The lack of trust between the people involved to begin with. The increased competition which made every real estate agent the same. And, the perceived perspective that both the buyer and the seller were worse off after the deal. Geez – tough gig! As we sat there with our entree plates cleared, I asked Jack the only obvious question that I always ask, “Why don’t you do it differently Jack?” What do you mean he asked me. I quickly took as many bites of my main course because I could see me not getting a chance to finish it with the question that was just put in front of me. With this kind of information in hand, I proceeded to make my argument. I said, “Jack you know that if 86% of potential buyers currently use online as their main tool to search for property, you already know the platform you should target. You should be on people’s mobile phones, because it is the first and last screen they look at everyday. This could be done through video, audio or the written word.” I could see Jack stop eating and lean towards me. I took the brief opportunity to get a couple of morsels of my fish into my mouth before I responded. “You talk to them about the things they really want to know about Jack. You can interview the local plumbers and talk to them about what a new owner should look for when they inspect a house. You can talk to other home owners about what they would like when they move into a new home. You can talk to renovation experts and ask them what kinds of modifications would get home owners the most bang for their buck. 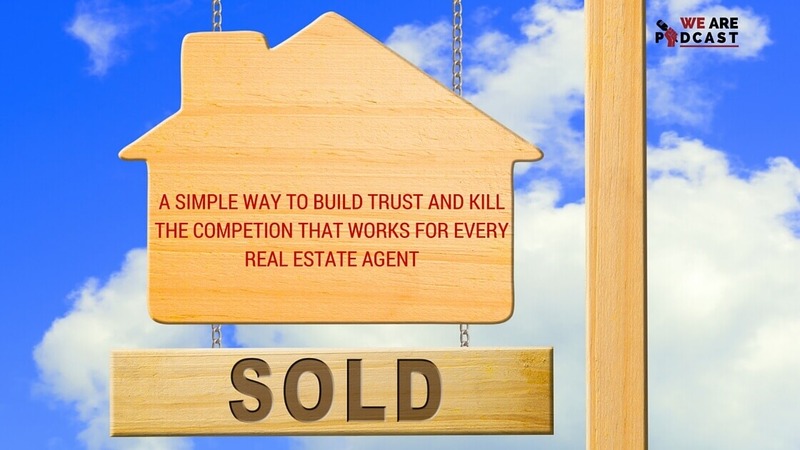 You can even interview random sellers that have had a bad real estate experience and ask them to tell their story, so that you can highlight the things that other sellers should look out for.